A new petition hopes to get to the bottom of one of the most mysterious UFO incidents in the UK – the Rendlesham Forest Incident in 1980, where several soldiers witnessed lights, floating vehicles and strange marks which many thought were extraterrestrial craft landing. The Rendlesham Forest sightings are often described as ‘Britain’s Roswell’. Despite the release of a large Ministry of Defence file regarding the incident, UFO enthusiasts believe there is still information being covered up – and the new petition demands that all staff and all information be released from the Official Secrets Act. 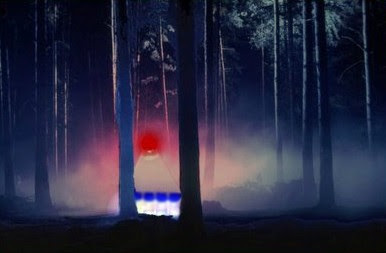 Reports by retired soldiers such as Colonel Charles Halt sound seriously spooky: ‘While in Rendlesham Forest, our security team observed a light that looked like a large eye, red in colour, moving through the trees. ‘After a few minutes this object began dripping something that looked like molten metal.’ . . .